Made from titanium alloy, this prosthetic (shown in the centre) is used to replace worn out, damaged or diseased hip joints. 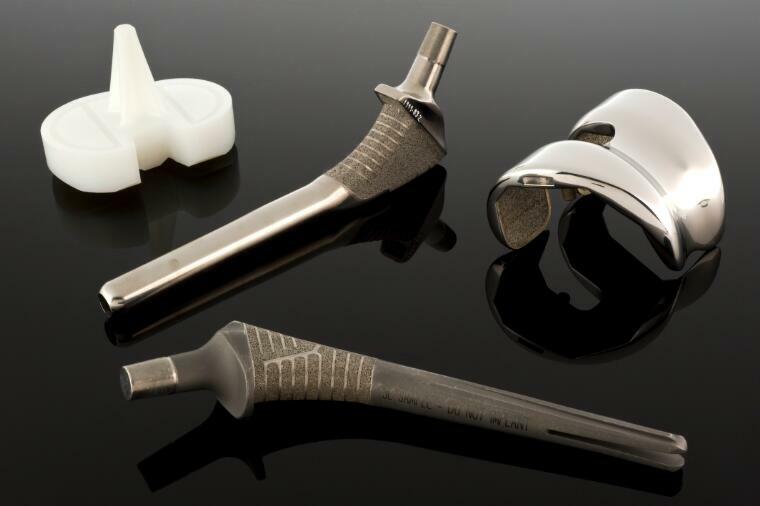 Joint replacements and implants are made from materials such as titanium that are not recognised by the human body (so they will not be attacked by the immune system and rejected). With an ageing population, over 50,000 hip replacements are now carried out in the United Kingdom each year. This example was made by Sulzer Orthopedics Inc, who also donated the hip replacement to the Science Museum’s collections. It is shown here with other replacement joints (1999-828, 1999-829, 1999-831).